Thanks I.W for this amazing make up set! I did use Lancome's Hypnose Doll Eyes mascara before my YSL mascara but then it dried out, so when I.W got me this set for my birthday, I was really excited to use Lancome's Doll Eyes again. The mascara is an every day mascara and the wand is good for separating lashes. The rouge in love lipgloss is great for layering on top of lipstick. I carry this around in my make up bag as the size is perfect. The eyeliner is great too, really easy to blend out. If you have not used Lancome's make up before, I would highly recommend you to try! 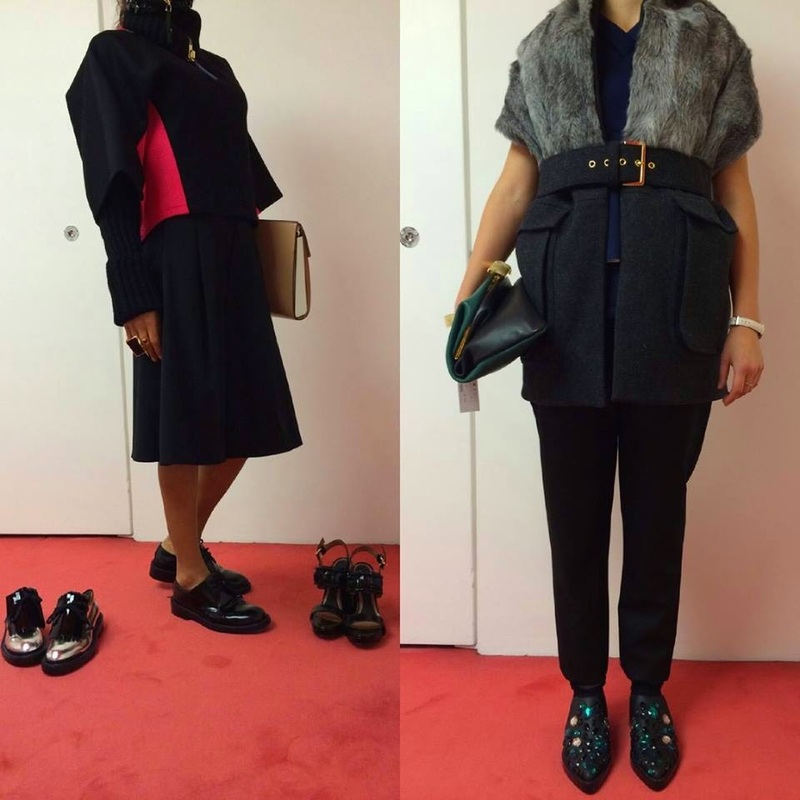 The beautiful Marni Fall Winter 2014 collection has landed. This season, the Italian fashion label, focuses on luxurious textures and bold block colour designs pictured above. The shearling jacket on the right above looks trendy and would be great for layering for the colder months. The jewelled brogues completes the outfit, bringing an embellished look together. 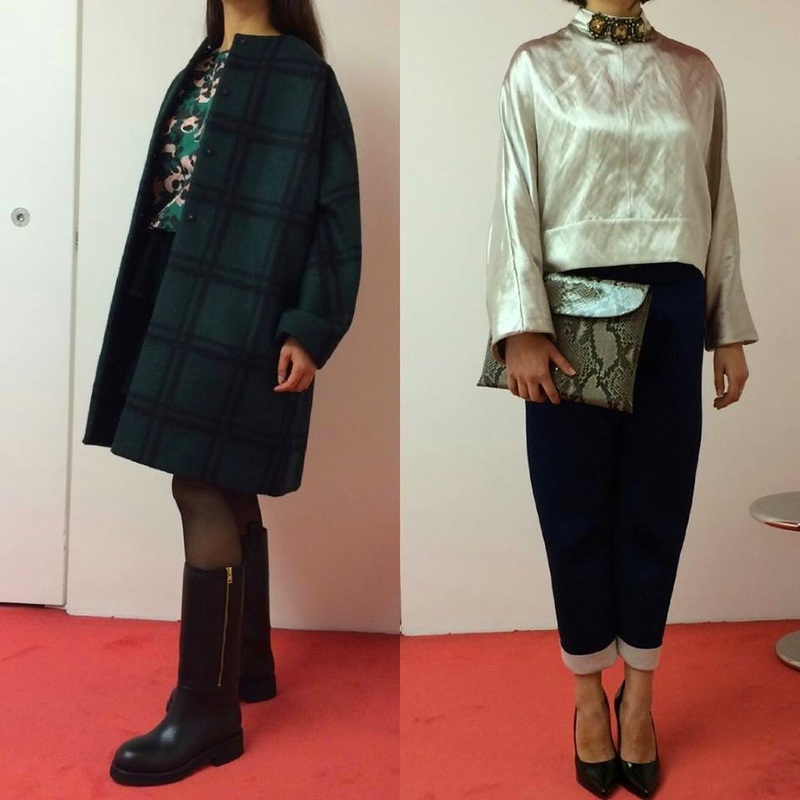 My favourite piece is the long sleeved silk blouse with jewelled collar pictured above on the right. The outfit projects a sophisticated style and the snake skin clutch brings out an elegant touch, complementing the look. The gorgeous pieces above can be found in the Sloane Street store in London.